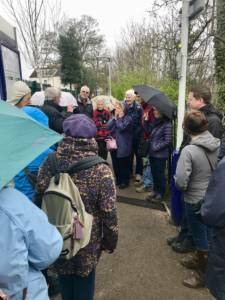 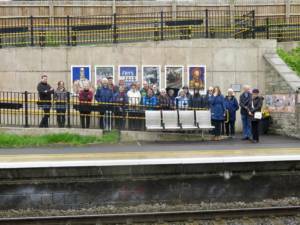 On Sunday 15th April, Cllr Emma Franklin arranged a trip for 20 residents of Bradford on Avon to visit Keynsham with a free train ride laid on to take them there. 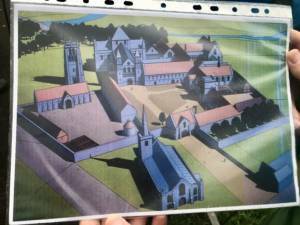 The rain did not dampen spirits as the group walked to the site of an old abbey, where volunteers pointed out its outline. 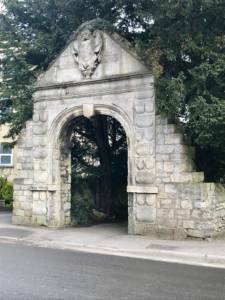 From here, they went on to the band stand and memorial park; to rolling hills, steelworks and along the river. 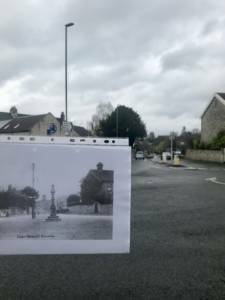 During a much needed tea break, many of the group admitted they had never visited Keynsham before but were keen to return, especially when the music festival is on.